I've been told Rose of Sharon is safe for hermit crabs, so needless to say, I've decided to go ahead and give it a try. I've put in a few Rose of Sharon blooms, but none of them have been touched so far. Maybe it' snot a good flower? 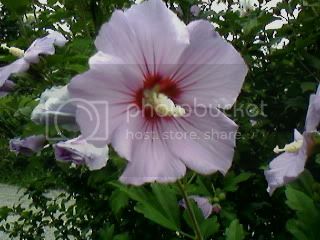 If you have different luck with this deciduous, August-blooming bush/tree, please comment!